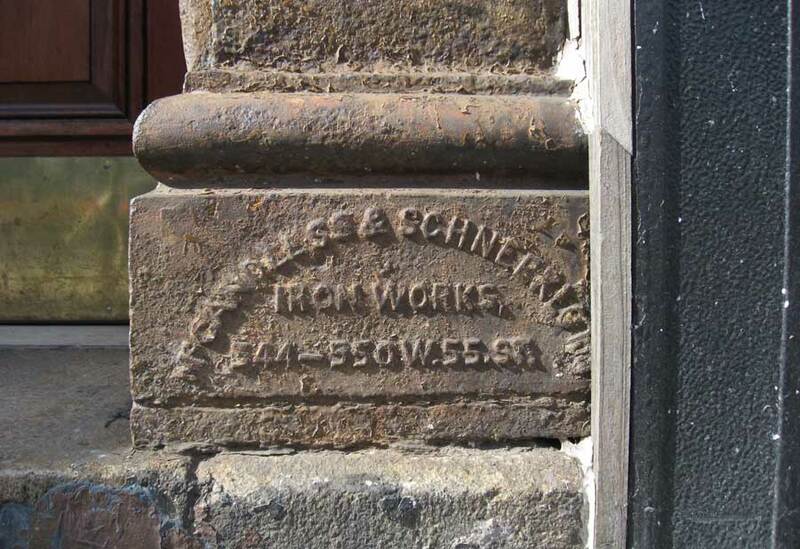 The McCandless & Schneekloth Iron Foundry on W. 55th St. seems to have been an extremely short lived enterprise. Only one entry in New York city directories notes its existence. This was in Trow's directory for 1878. The partners were James McCandless and John Schneekloth. James McCandless was the same McCandless who had a partnership with Zephaniah Ayres and Abraham Ayres at Ayres & McCandless from 1868 to 1877. More on this company is found on the Abrm Ayres Iron Foundry page. James McCandless was an immigrant from Ireland, who was recorded in the 1860 and 1870 U. S. Census reports. In 1860 he was 28 years old, an iron moulder, born Ireland. In 1870 he was 38 years old, a founder, born Ireland, and he lived at 409 W. 45th St., New York. John Schneekloth is a shadowy figure about whom I have not found any information.